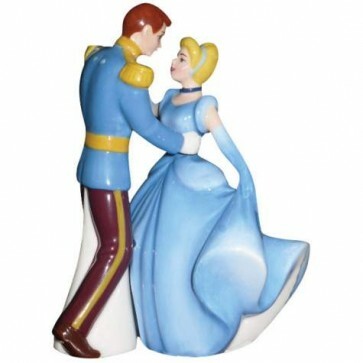 A Cinderella and Prince Charming salt and pepper shaker set. If you are a fan of this Disney classic animated movie then this may be the perfect salt and pepper shaker set for you! Prince Charming and Cinderella each represent a shaker.